And so we go back to yet again another O'Brien family story. This time is is about Luke O'Brien, his discovery in Ireland and the woman he met while he was there "Maddening Moira" O'Malley. Luke has come home from Ireland and has finally decided what he wants to do with his life...open up a truly authentic Irish Pub. While some members of the family doesn't necessarily support his idea, he really feels that this is his shot to prove to everyone (and I think to himself) that he is ready to settle down and be responsible. Meanwhile, Moira is finally coming into her own and has an opportunity of a lifetime in pursuing her own dreams, but decides to go with her grandfather to the states to visit the O'Brien Clan. This is her chance to see if Luke is really the one for her and decide if she wants to pursue the opportunity that has just been presented to her. As a wonderful backstory, we see Luke's Grandmother and Moira's Grandfather pursuing their own dreams of love and togetherness. Truly lovely to see the lovebirds come together in the twilight of their years and overcome all the obstacles to be together. 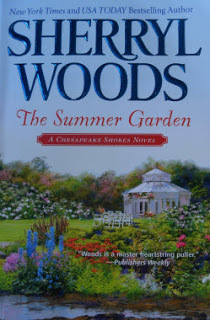 As in all of Ms. Woods stories about the O'Briens, the characters must work thru their fair share of family interference and concern in order to make it to the end and realize that yes indeed, they were truly meant for each other. While all of these books are meant to be stand alone, they have and will always be a part of the great Chesapeake Shores series.